Okay, if I only have a little whipped cream on my strawberry sundae, that won’t hurt. Right? And then nature adds a wallop of “regret” to the whole process. Or processing. (cue rim shot) And she was right. I often compare the dramatic improvement in mood and well-being I felt after eliminating dairy from my diet to the abrupt snapping open of a window shade. The sunlight flooded in and everything was so much clearer to me. Oh, how I wish I could have gone through the horrors of high school not strung out on dairy. It still would have been horrible, but I could have handled it so much better. And I wouldn’t have contributed to The Horror. As much. My friend Elizabeth is very knowledgeable about the dairy issue. Her lactose-intolerant boys will not be inflicting the same random acts of dairy-terrorism that I perpetrated. Nor do they suffer tasty-frozen-treat deprivation: Their mom makes The Best peach soy ice cream In The World. On our recent trip to Virginia, Elizabeth contributed this amazing confection to dinner one night. I managed to serve the tiniest portions I could reasonably get away with to preserve more for my later enjoyment. See, I really was wired very badly long ago. Elizabeth and my friend Sydney are two of my very truest and dearest. They share being the moms of collectively five of Sam’s little brothers; possess keen eyes for spotting imperiled turtles in the middle of roads; and can turn a batch of homemade cupcakes into a party—or a wedding!—with boys and turtles all safely tended. They are also the yin and the yang of dairy consumption. I am fairly confident that Sydney would believe that her life had ceased to be worth living, if she were told she could no longer enjoy milk. And think of the poor turtles. Hey! We like fun. We like camping (theoretically, anyway). We like rolling stuff around as much as the next family. Just one small problem: I don’t Got Milk. 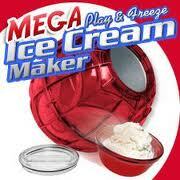 I wish I had been clever and thought to try The Mega Ball with soy milk or rice milk. It just never occurred to me. Instead, The Mega Ball has sat neglected in my garage. Nothing says I can’t dust it off now and start having fun making alt-milk frozen treats. But, hopefully with Sydney’s understanding, and– since it’s for her fellow boy-mama-ing/turtle rescuing friend Elizabeth– maybe even her blessing, I’m downsizing The Mega Ball back to Virginia. Here’s hoping that two boys plus one great soy ice cream recipe plus one Mega Ball is a formula for some good times and a whole lot more awesome lactose-free treats. 500 Things Items 117-141: 5 MEELLION WEEDS! History: 5! 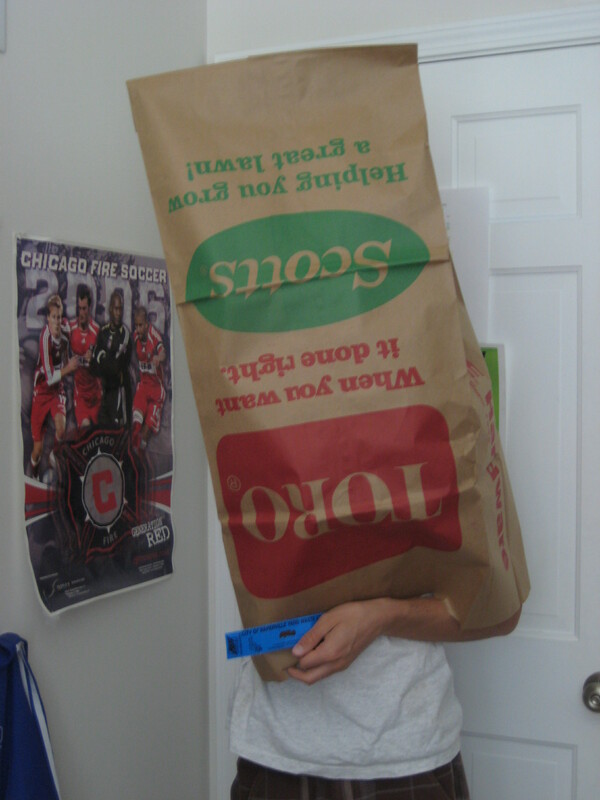 Enormous Bags stuffed with garden suffocating weeds (for reference: Sam’s torso)– that appear as if from nowhere! Do you prefer beginnings or endings? Sure, but when I reminded One of the respondents that The Beginning of School is tomorrow and offered to allow him to amend his answer, he stayed firm. But both beginnings and endings bring change. Paradigm shifts and tipping points simply signal a change from one state to another. It’s built in: something ends and something else begins; something begins and something else ends. Sometimes it’s good, sometimes not. Change isn’t inherently one or the other: it’s just change. It’s what has changed, what has started and what has ended, that needs the sizing up. And that’s all about perception, isn’t it? Oh lord, is she going to make lemonade? The pride-factor should be obvious. The fear? Well, it’s not that we doubt for the tiniest second that Sam is completely qualified and would excel at any of these fine schools. Our fear comes from statistics, admission rates: The first three hover around a 12% admissions rate. But as to Swarthmore, specifically. 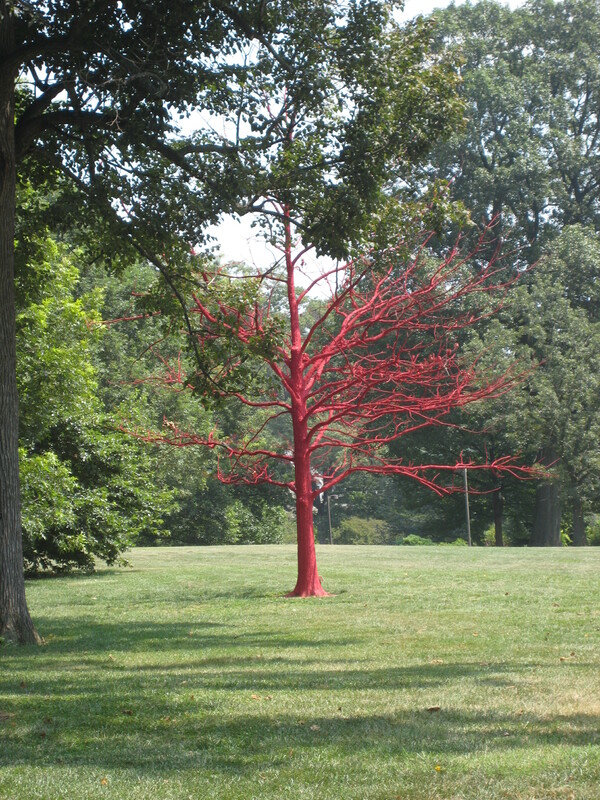 Our campus tour took us past this incredible red-painted— but quite obviously ailing– tree. I assure you, it was not one of many painted trees around the campus; it stood out quite distinctly on the manicured grounds. Our winsome guide explained that it is the tradition at Swarthmore to vividly paint a tree before it is felled to allow the community a chance to honor it. To mark the end of one phase of the tree and the life surrounding it and prepare for a new tree, a new life. Celebrating an ending and a beginning. I was completely moved by this tradition. Now I know I’m a bit emotional these days. There is a lot of fluidity in my life which is sometimes expressed fluidly. Even so, I am reduced to a puddle every time I think about this rite. I simply love the idea of the Swarthmore community invested in this simple act of change on their campus. A life doesn’t just disappear one morning, dismissed and unacknowledged. Neither does it remain in a decayed and untenable state. It is honored and celebrated, and then room is made for new life. So what, you might ask, do I prefer: beginnings or endings? I thought this was one of the most profound things Paul had ever said to me. My mind expanded as I processed a phrase surely used by serious cyclists to describe the Zen-like state you hope to attain on every decent ride but which you usually only experience in fleeting moments of uncomplicated oneness with your bike, when you unconsciously anticipate every gear shift, nimbly avoid hidden loose gravel, and neither over nor under exert on any climb or descent. I knew he had suggested a whole new way to look at my riding, my life, my world. After a few days of truly resonating with the overwhelming peace I had gained from this insight, I profusely thanked my darling husband for sharing it with me. 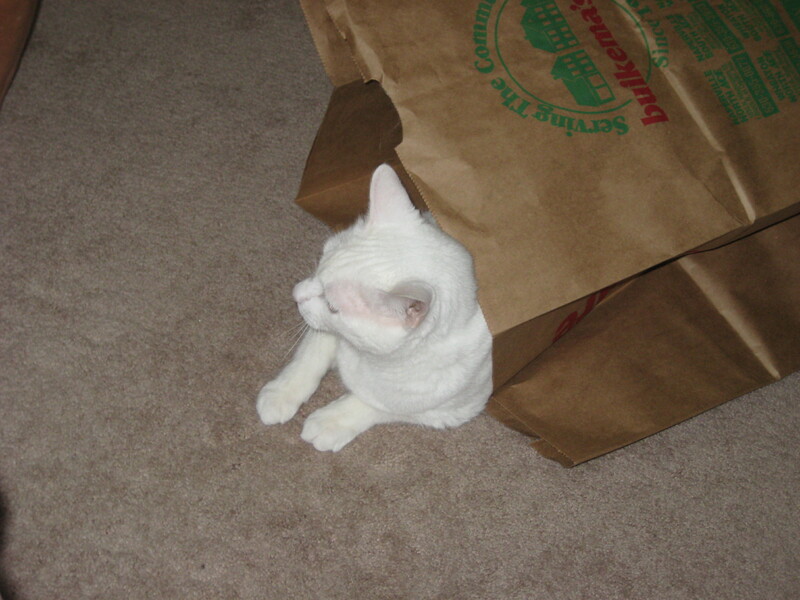 Paul hates to disappoint me and is always very cautious at such moments. 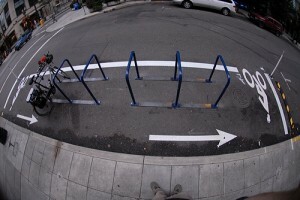 I would now like to offer you Move the bike forward, a phrase which I believe conveys deep meaning– whether or not actually intended by Paul or any other serious cyclist. How often are you distracted? How often are any of us looking backward with regret or sideways with envy or beyond with fear? Anywhere but at the tracks we are laying at that precise moment. And here’s the thing: I will still make lists. I will still plan and organize– I am writing a blog about the URGENCY of the next year of my family’s life, after all. But as we downsize, as we shed stuff and baggage, I will also attempt to shed the distraction of what was and the constant fear of what will be. I want to be gratefully aware of the bike under me, moving forward. Now on with the ride.